Robert Coenen is responsible for all sales and business development operations for Advantage Optics on the West Coast including the optical networking product lines as well as driving product planning. Prior to joining Advantage Optics, Robert served as a Business Development Manager at Intel in the Silicon Photonics group where he was responsible for owning and driving multiple key accounts to design win as well as effectively driving customer requirements back into the Intel Silicon Photonics product portfolio. 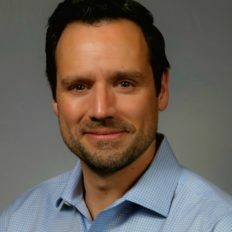 Prior to his tenure at Intel, Robert was the Vice President of Sales and Marketing at Reflex Photonics and was responsible for overseeing global marketing, business development and customer initiatives related to the company’s product lines, as well as managing OEM and partner application engineering support. Before joining Reflex, Robert served as a Senior Design Engineer at Finisar Corporation, a Senior Applications Engineer at Redfern Integrated Optics and at Scintera Networks and started his career as a Senior Design Engineer at Gtran Corporation, where he led various optical and electrical design teams. During his work at various companies; Mr. Coenen has served on or monitored various standards committees and MSA organizations such as: the Ethernet Alliance, the Optical Internetworking Forum, IEEE 802.3ba, 802.3aq and 802.3ae, SFF MSA Committee, T11 and Infiniband. Dr. Coenen earned his B.S. in Computer Engineering at the University of Victoria, his M.A.Sc. in Electrical Engineering at the University of Waterloo, and his Ph.D. in Electrical Engineering at the University of British Columbia.